Bobbinlace, Bookbinding, Persona Development, Fiction, and more! 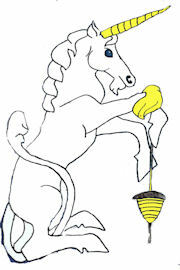 Unicorn Fiber Arts selling kits and supplies for Fiber Arts (Knitting, Weaving, Kumihimo braiding, and MUCH more!) and Brewing. House of Zacharia Press that publishes Don't Panic: A Beginners' Guide to Brewing and more. Griffin Dyeworks Dye & Fiber Weekend Retreats and Fiber Frolics a yearly weekend retreat in a secluded environment, far away from urban cares! Twice yearly day long Fiber Frolics in the San Fernando Valley. 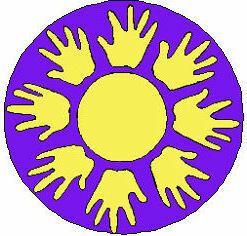 Get hours of hands-on learning experience. Expect spontaneous hilarity, wonderful discoveries, and a chance to make new friends. The Barbarian Freehold Alliance a non-territorial alliance of Freeholds, Households, and Individuals within the SCA who share a special interest in Viking, Celtic, other 'Barbarian' cultures, and even Europeans.